1. 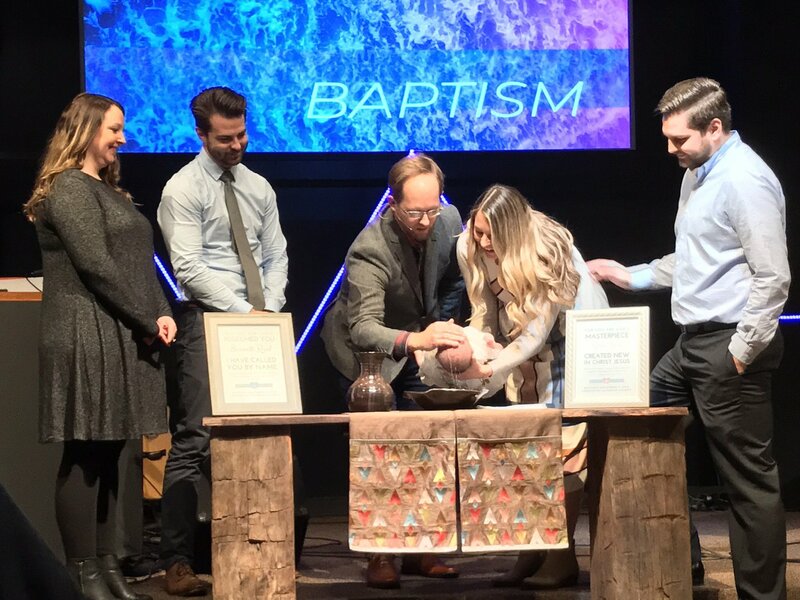 BAPTISM IS ABOUT WHAT GOD IS DOING. It’s a super-natural, God moment. Romans 6:3-4 (ESV) - Do you not know that all of us who have been baptized into Christ Jesus were baptized into his death? We were buried therefore with him by baptism into death, in order that, just as Christ was raised from the dead by the glory of the Father, we too might walk in newness of life. 2. MODE DOESN’T MATTER. IT’S ABOUT WATER AND THE WORD. Sprinkle and immersion are both valid. Ephesians 5:26-27 (ESV) - That he might sanctify her, having cleansed her by the washing of water with the word, so that he might present the church to himself in splendor, without spot or wrinkle or any such thing, that she might be holy and without blemish. 3. IT’S A FREE GIFT, COMMANDED FOR “KIDS” OF ALL AGES. It brings us into family together. 4. IT’S A PHYSICAL SIGN OF GOD'S LOVE & OUR ADOPTION INTO HIS FAMILY. Ever in doubt of God’s love? Remember your baptism.